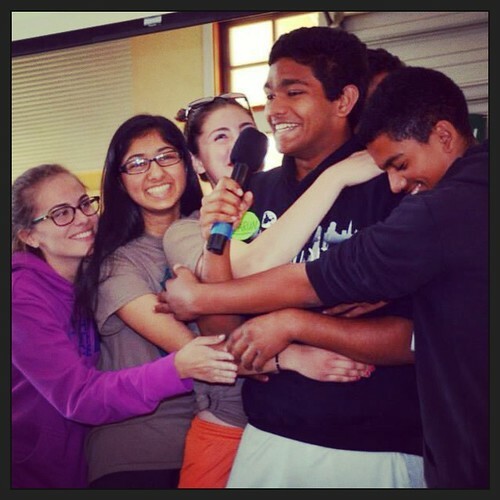 Interested in joining EarthTeam's Youth Advisory Board? Learn more about the YAB and apply for the 2014-2015 school year by clicking the photo or here. Deadline to apply is June 1st, 2014. EarthTeam’s Youth Advisory Board (YAB) is a yearlong internship comprised of East Bay Area high school students that have a passion for helping planet and people. They are environmental leaders and change makers in their schools and greater communities. Serving on the Youth Advisory Board is a chance for students to flex their leadership muscles and develop as young professionals. They learn the skills to plan and execute large events, including the annual LEAF Conference, improve their professional skills, and collaborate with other students who are committed to protecting the environment. Learn more about the YAB by visiting their webpage here.